These shots indicate both coupe and roadster variants of the meaner model are under development. 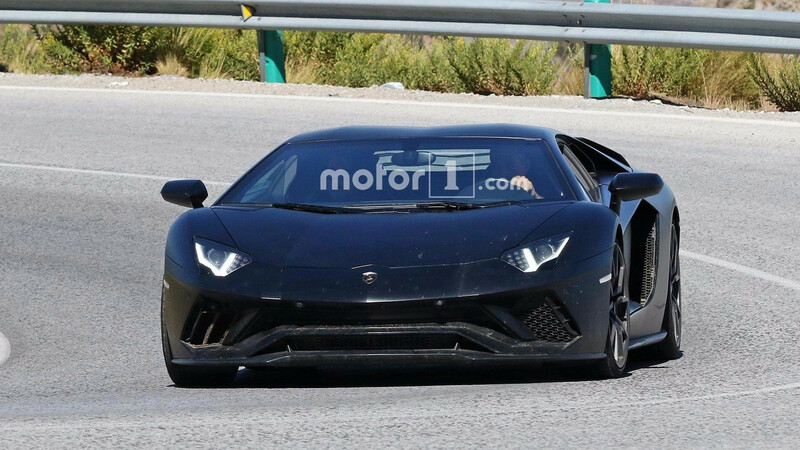 Spy shots once again provide a glimpse at Lamborghini’s development of a new variant of the Aventador. The new photos reveal that the company intends to build the model in coupe and roadster guise. Rather than using tons of camouflage, Lamborghini seems to use existing body panels to conceal the changes for this new Aventador model. For example, the black coupe has the front fascia from an Aventador S, and the white Roadster uses the standard LP 700-4 part. The company can’t hide the big adjustments at the back so easily, though. High-mounted exhausts exit from the spot that’s usually for the license plate. It’s a move similar to what is on the Huracán Performante. The change lets the engineers fit an even larger diffuser for an improved ability to channel air around the vehicle. Ignore the standard center-exit exhaust on these test mules because they are purely placeholder pieces. There are no other details about this model yet. It seems safe to expect many of the improvements from the Aventador S, like four-wheel steering and a digital instrument panel. Using high-mounted exhausts like the Huracán Performante might mean that the model would have its Aerodinamica Lamborghini Attiva active aerodynamic tech, too. Engine details are also still nonexistent for this variant. However, the existing 6.5-liter V12 is good for as much as 759 horsepower (566 kilowatts) in the Centenario. A debut time for this Aventador remains unknown. The Los Angeles Auto Show in late November seems too soon for a reveal, and the company generally doesn’t bring new vehicles to the Detroit Auto Show in January 2018. This points to a possible premiere at the Geneva Motor Show in March 2018. However, Lamborghini often shows new vehicles online before giving them a physical unveiling, so we could see the model before then.